It had been far, far too long, my life without a revisit of The Road Warrior. I recall being a teenager and thinking this was one of the coolest films I had ever seen. George Miller showed some restraint with the original Mad Max and he should have, as it was merely building the world and the circumstances of a society on the brink of madness. A sequel, now that is where he had the opportunity to kick it into high gear, to go balls to the walls with mania and ridiculousness in the best possible ways. Mad Max is certainly entertaining, but The Road Warrior ramps it up into something far more memorable and special. While on a supporting character level The Road Warrior is a massive improvement over the original, as Max Rockatansky has some intriguing allies on his side this time around and his adversaries are far more menacing, the real reason we buy into this dystopian depravity is Mel Gibson in the lead role. The progression of his character is fascinating, as we remember him as the married father who doesn't turn mad into tragedy strikes his family. When we reconvene with him here, those strings that held him together in the past have been cut and his life is that of a lone nomad, finding ways to stay alive by any means necessary. I now recall why, despite seeing both roughly the same amount of time ago, I remembered so little of Mad Max and so much of The Road Warrior. How the hell could you forget a picture like this? The action, the set pieces and the costume design are remarkable, all making you feel a little bit grimy and uneasy but in an awesome way, like you want to feel that dust on your skin and you want a splash of that blood on your shoes. What really takes this movie to a new level though are those characters, all of them across the board. 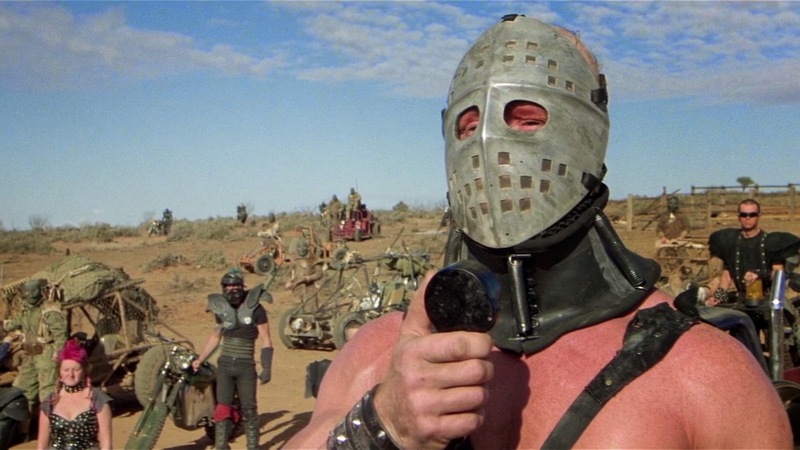 George Miller, if you can match or even just come close to the intensity and fun of The Road Warrior with Mad Max: Fury Road, which I will be seeing this upcoming weekend, I will be a very happy man. 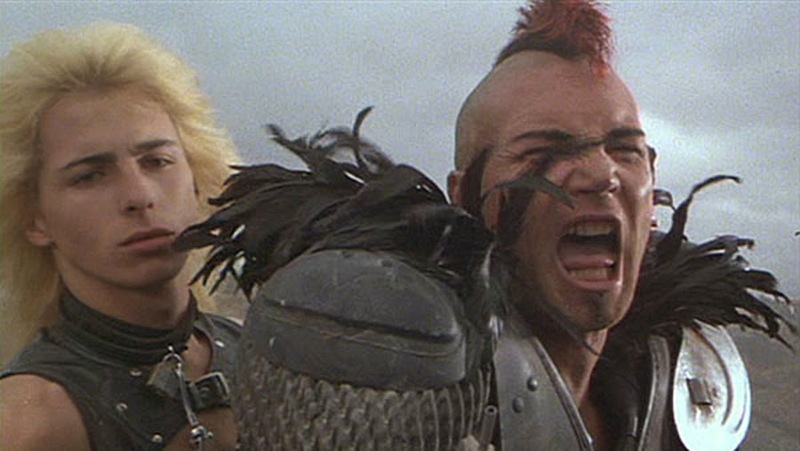 I'd say Road Warrior is as close to an "instant classic" (a phrase I despise) as a film can be. Fantastic characters, tons of imagination, great action sequences and a world that is entirely unique yet never unbelievable. I must remember to rewatch this before Fury Road! Everything you said is spot on Daniel. I especially like what you said about the world, because it feels both like fantasy and yet for some reason you can't shake a sort of strange realism that hangs over such unrealistic characters and circumstances. It's a credit to Miller that you buy into this world. I am seeing Fury Road on Saturday, absolutely cannot wait.